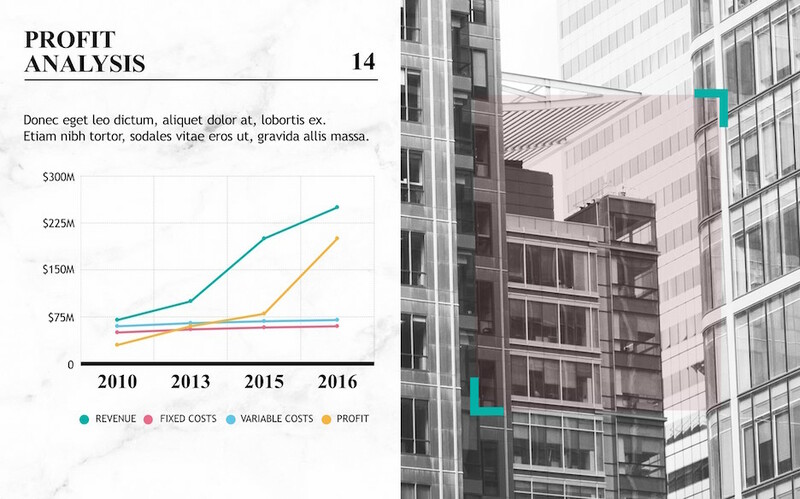 This financial powerpoint template covers business economy related topics such as finance, accounting, stocks and investment. Accurately tracking financial data is not only critical for running the day-to-day operations of your small business, but it is also essential when seeking funding from lenders or investors to take your business to the next level. Keeping tabs of your finances can help ensure your products and services are priced right, identify what your margins are, determine your cash flow and make filing taxes easier. 23 unique presentation slides designed by professionals that you can easily edit and fill out with your personal content. 9 icons are used in this template which you can flawlessly move, resize or change colors throughout your presentation slides. 2 color flavours are available in this template. What's included in Finance PowerPoint Template?